Rafael Aranda, Carme Pigem and Ramon Vilalta, the members and founders of the RCR office obtained yesterday the 39th Pritzker architecture arize, considered as the Nobel Prize in this discipline. The RCR Arquitectes office was opened in Olot in 1988 and, step by step, has been making a name from La Garrotxa to Chicago. One of their works that already had a great international repercussion was the project of the restaurant-hotel Les Cols (2000), in Olot. The department of Textile Architecture of IASO participated in the project of Les Cols with the ETFE cover. A work where the new pavilion is below the level of the natural terrain and the great walls support the structure of circular tubes, arranged in parallel. The transparent cover, with double-layer pre-stressed ETFE sheet provides good thermal insulation. A space with a special atmosphere, thanks to the combination of shadows, lights and trees that emerge above the ETFE cover. Undoubtedly an innovative, comfortable and elegant place, where nature and architecture blend and the rooms look like zen gardens. The Pritzker jury was presided over, at this occasion, by the Australian architect Glenn Murcutt, author of an architecture that, like RCR's, is the result of a long process of reflection and is in tune with its surroundings. In addition to Murcutt and among others, the architects Richard Rogers or Benedetta Tagliabue participated in the jury. 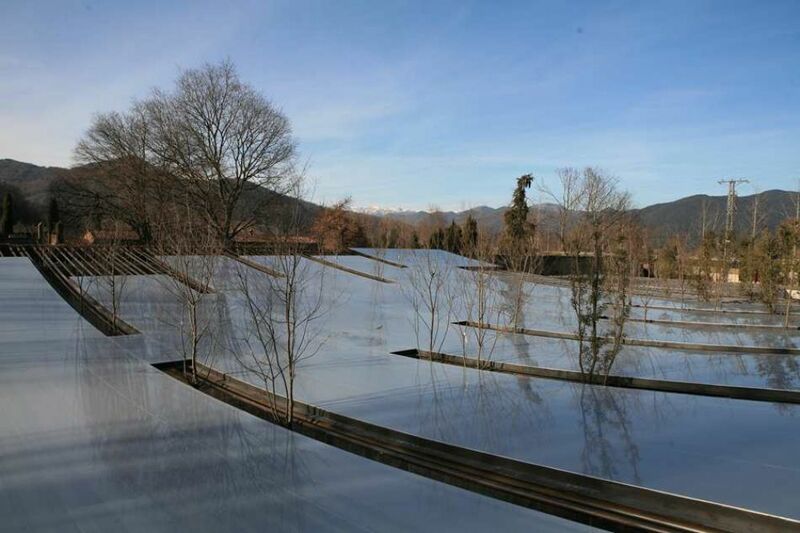 It is the second time the prize goes to Spain, after Rafael Moneo, who was awarded the Pritzker in 1996.